*Copyrighted 1900, by Archer Butler Hulbert. 1 Map with Pownall's "Middle British Colonies in North America 1776,"
created by human footsteps, none can tell how many thousand years ago. 266 Ohio Arch. and His. Society Publications. little or nothing to block or obscure the pathway. mopolitan, November 1899, p. 127. 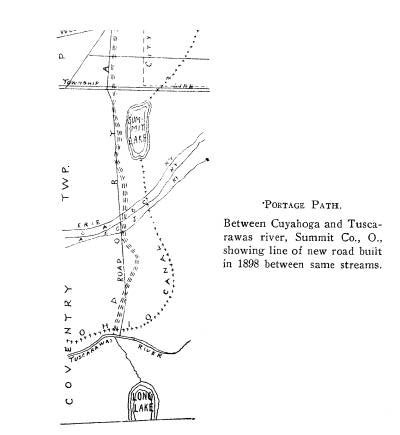 1 The two great thoroughfares in Kentucky were on buffalo traces. Boone's road led to the Blue Grass country where Lexington was built. Bardstown, Bullittt's Lick and Louisville. - Speed's "Wilderness Road,"
Allied Documents" edited by Mr. Reuben Gold Thwaites. [The evolution of our American highways is described elsewhere. for a century, it is interesting to recall that this is true of our civilization. 268 Ohio Arch. and His. Society Publications. or left you were in it half way up to your thighs" (do. Vol. XV, p. 267). them, for the greater part of the year seemingly, well nigh impassible. precipices." (Do. Vol. XXII, p. 307). 270 Ohio Arch. and His. Society Publications. 272 Ohio Arch. and His. Society Publications. 274 Ohio Arch. and His. Society Publications. Zanesville; and the Hon. R. M. Stimson of Marietta. 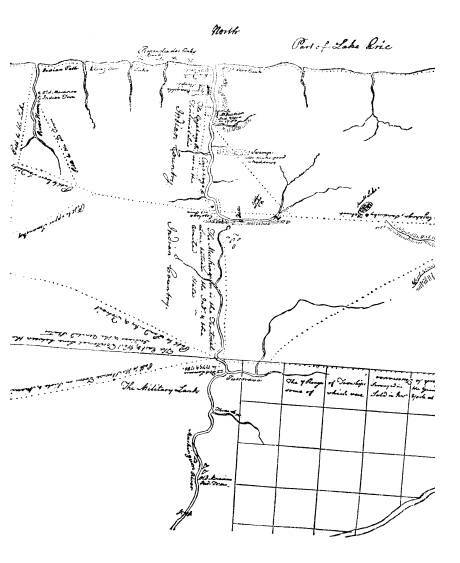 2For early maps see Baldwin's "Early Maps of Ohio and the West,"
was necessary to ascend a very steep mountain." (Jes. Rel. and Doc. Vol. in portions at least, by means of the testimony of living men. identification as of its former existence. on the Baltimore and Ohio railway. 276 Ohio Arch. and His. Society Publications. and Detroit river to Fort Detroit. Two living men, Mr. J. C.
creek at its mouth--thence on the highland farms of A. W.
ford may be seen the site of Fort Laurens, the first fort built in Ohio. 278 Ohio Arch. and His. Society Publications. British Colonies'" in Darlington's "Journals of Cristopher Gist" (p.
from his pen is of great value and interest. Several trails are here given. 280 Ohio Arch. and His. Society Publications. they were the first white men to travel certain trails. 282 Ohio Arch. and His. Society Publications. 1 Hist. Erie Co. Penn. ton's party in 1754." 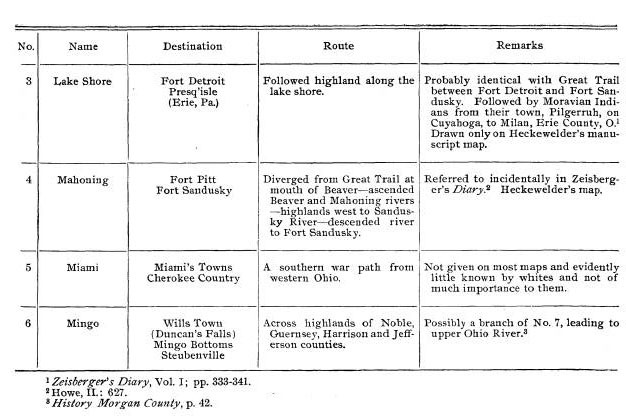 Journals in "History of Braddock's Expedition," p.
*of Pioneer History, pp. 205, 206. 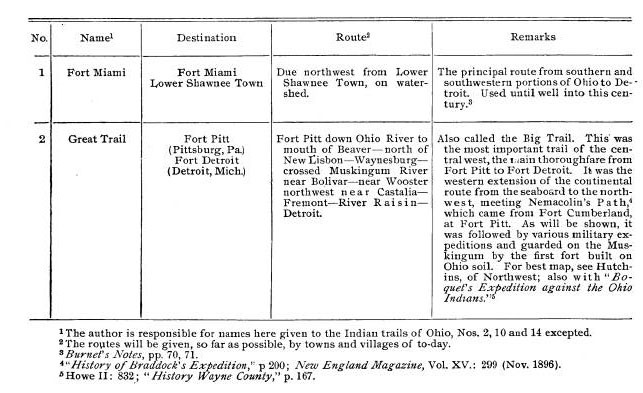 WAYNE'S ROUTE ALONG THE MAUMEE. passes in the Allegheny Mountains, which followed the portage path. 1 Ohio in 1788 p. 75; Howe II, 831. 284 Ohio Arch. and His. Society Publications. the general alignment, probably, of a northward trail. the question of white man's conquest at Fallen Timbers. Dr.
Washington). Cf. Crawford's Campaign against Sandusky, p. 138.
confluence of the Auglaize and Maumee. isle-Ft. LeBoeuf (1753) plies for French forts in Ohio. Path (See 2) ent Uniontown, Pa.
Richmond (10) Pleasant for Kentucky settlers. Miami (5) (?) Harmar's Road N. from Opened way for Wayne. 1 History of Morgan County, p. 126. 286 Ohio Arch. and His. Society Publications. take it. 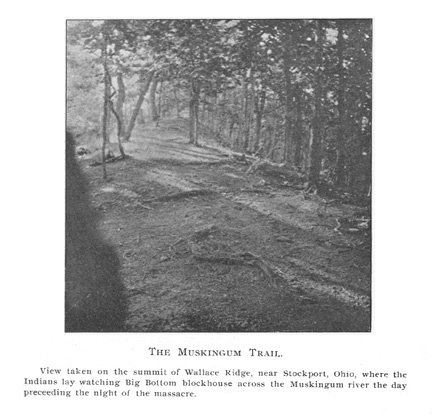 The route early became known as the "Wilderness Road." on the Kentucky river. Here Fort Boonesborough was erected. the author owes a great debt for information and inspiration. On Mr.
Road," pp. 11, 22, 23 and 42.
author cannot refrain from quoting one which is out of the ordinary. of historical uses and so profitless to the public." 2 Boone's Autobiography; also Wilderness Road, pp. 25, 26.
water and what proportion by land routes ?" 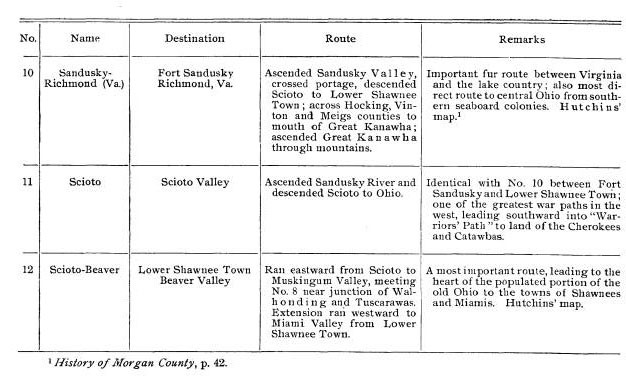 1 Hunt's Historical Collections of Coshocton County, p. 37. 288 Ohio Arch. and His. Society Publications. the pioneer host did not usually settle anywhere permanently. There was a familiar expression, "following the emigration,"
lowed the emigration," came by the same routes. the Maumee Valley, pp. 86 and 107; cf. 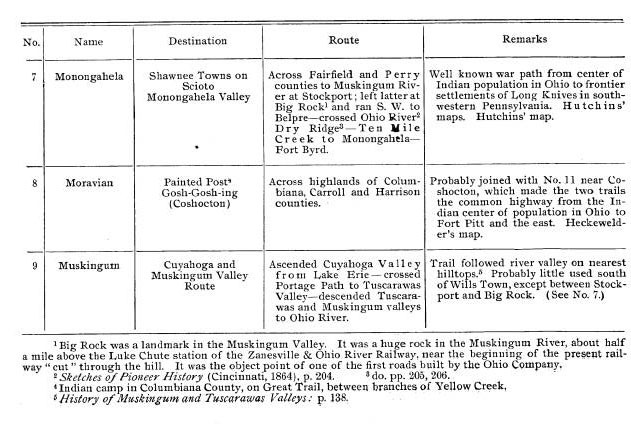 History of Hamilton County, p.
221; History of Muskingum County, p. 67.
out by the surveyors of the Ohio Company, 1279-1800.
of 1753, became a notable thoroughfare early in the century. 1 Egle's History of Pennsylvania, p. 271. 290 Ohio Arch. and His. Society Publications. face of the land, but they became the course of our first roads. Portage Path in Summit County, at least in proportion to its length. author, after several visits, has become acquainted with the ground. 292 Ohio Arch. and His. Society Publications. Lake Erie to Alleghe- (Pa.) Pike. Miami (?) Harmar's Road north Old "Hamilton" and "Eaton"
1 See Note on map of Portage Path. 294 Ohio Arch. and His. Society Publications. memories, so rich in historical suggestion. And mark them with your dead." the hard-earned century now passing away.